Laughing Gypsy: Can the Tarot Predict the Future? Practically speaking, the tarot is a deck of pictorial cards used to answer questions posed by the querent (the person asking the question) as interpreted by the reader. There are many, many different types of tarot and oracle cards available today and each one has its own unique twist. The interpretation is often subjective and left up to the intuition of the reader. However, some readers choose to just stick with the textbook interpretations. As long as the reader approaches the reading with the intention of being of service to others then I personally feel that any way they choose to interpret the cards will be beneficial. From what I have discovered, no one really knows the origins of the Tarot. Some say they derived from an old playing card game in Italy, others say it stemmed from ancient Egypt, still others say they originated from ancient Sumeria. As for tangible evidence, the oldest deck of tarot cards known can be traced back to Italy in the year 1440. 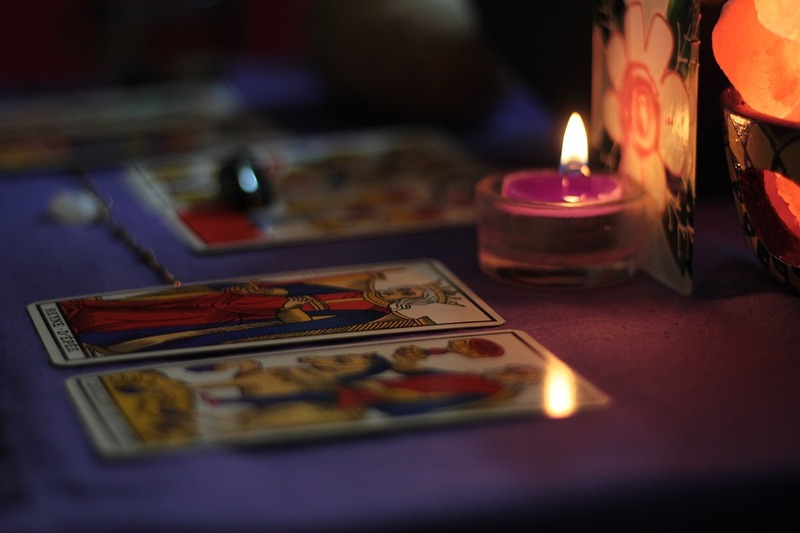 It is believed they were either called Taroochi or Tarocco and this seems to be the origin of the name Tarot today. The cards have been seen in many western cultures over the centuries and have a lot of history from which I will spare you. Suffice it to say, their mysterious origins keep many scholars, spiritualist and historians intrigued. In more modern times, the occultist Arthur Edward Waite worked with artist Pamela Coleman Smith and published a deck with William Rider & Son Publishing in 1910. This became known as the Rider-Waite deck, and later as the Rider-Waite-Smith deck as the artist certainly deserves recognition for her contribution. This deck has served as the platform for hundreds more as the century progressed and the interest in spiritualism increased. It remains one of the most popular decks today and is used by many readers. It was the one I first used when I began my serious studies, it is the one I recommend to my students as a beginner deck, and I still often use this deck when reading for strangers today. No, I personally do not believe that they are evil. In fact, I do not really even believe in complete evil. What I believe gets rather complex, but I will try to keep it simple here and just say that if you feel uneasy about using them, then don’t. You should always follow what feels best to you. However, I have never had any reason to believe that they are evil or that they carry negative energy of any kind for that matter. That being said, if you choose to see them that way, then they will be that way to you. We live in a subjective reality after all. But I urge you to remember your spiritual sovereignty and realize that it is your perception that matters in this life and nothing else. You get to choose how you perceive everything; this is your freedom as a spiritual being having a human experience. What is the Tarot good for? There isn’t a simple answer to this one, as you get out of the tarot what you put into it. If you approach it as a tool to assist you in tapping into your subconscious mind, you can use it for personal development. If you approach it as a tool for personal inspiration in a creative project, you can use it to help generate ideas. If you approach it as something to be feared, then you will create fearful spreads for yourself and others. If you approach it as entertainment only, then it can be a fun party game as long as you don’t take it too seriously. 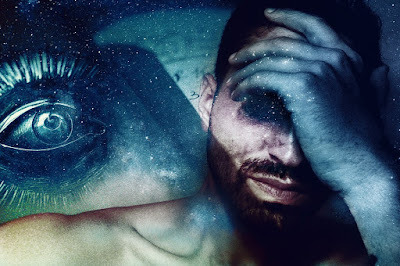 If you approach it as a psychic oracle that you can use to tap into the universal mind, you can use it to read information from the Akashic Records to assist yourself and others about many different subjects. If you approach it as a divination tool, you can use it to see the path of the current timeline you are on. I am sure there are many other approaches to it, but those are the ones I come across the most. Personally I use the Tarot for all of the above reasons save for the one about fear. Fear has no place in my readings. Can the Tarot accurately predict the future? We live in a quantum universe which means that every single possibility exists, as every single timeline exists. It is our conscious focus, unconscious desires, energetic (emotional) output and personal will that determines which timeline we experience in any given moment. According to some, we are constantly shifting timelines both individually and collectively. However, we still have the Higher-Self part of us having a hand in our life. Our Higher-Self (or soul if you want to call it that) has an overview of our life and knows which episodes are needed in order to fulfill our soul lessons in this lifetime. I believe that Planet Earth is like a school for the soul and we come here to learn particular things in a 3D environment. We choose our birthdays and our families, and also certain life circumstances in order to give us the best opportunity to learn the things our soul wants to learn. In this way we have the paradox of both destiny and free will coexisting side by side – but this can happen in a quantum universe. So yes, tarot and other divination tools can predict the future but we must keep in mind that the future is in flux. The reading that you do only shows you the current timeline you are operating from, but most of the time, you can affect the outcome. Therefore if you do a reading and you do not feel good about the outcome, the tarot can help you see what needs to be done to change it or it can show you how you can learn from it. It is a bit like reading a map of the journey you are currently on - sometimes you can take a turn to avoid the traffic jams and sometimes you are too far down the road to avoid it, so you better make the best of it. This is because if enough momentum has been built around a subject, then it may be too late to do anything to change it so your best bet is to learn how to grow from it. As for accuracy, that is up to both the reader’s interpretation and the querent’s perception of said interpretation. Since everything is subjective, it is always wise when receiving a reading to take the reader’s interpretation with a grain of salt as a reader’s accuracy is dependent upon many things and often times the participation of the querent can greatly hinder or assist with this. And of course, the information will then be processed through the querent’s lens of perception which colors the information with their own personal desires and beliefs. Generally speaking, I find that the more practiced the reader is and the more the querent participates, the more confidence the reader gains in his or her abilities and this greatly impacts the accuracy as well. Over the years, I have learned a lot about the Tarot and what can be done with it. In addition to the knowledge gained from astrology, palmistry and numerology, I have also learned a lot about people and their psychology from using the Tarot. One thing I have certainly learned is that the Tarot is a powerful and useful tool if you choose to use it this way. It has certainly been a fascinating ride of spiritual understanding and self-development for me. I look forward to learning more as life is a never ending journey of discovery and expansion. I know that I do not know all there is to know about the Tarot, in fact I continue to learn more about it each time I do a reading for someone. But I feel that the more people open their minds to the possibilities available to them through the Tarot, the more we are going to learn about it. As long as we treat it with the proper respect it deserves, we stand to gain a myriad of knowledge from this fascinating and mysterious tool. What about you? What are your beliefs around the Tarot? Let me know in the comments!